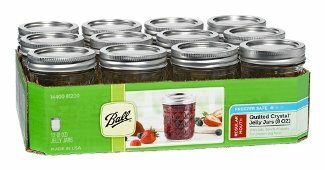 Ball Regular Mouth 8-Ounce(when jar is filled to the rim) Quilted Crystal Jelly Jars are ideal for fresh preserving recipes such as jams, jellies, sauces, mustards, and flavored vinegars. The Quilted Crystal design adds a decorative touch to these multi-purpose jars-also use them for serving, creative décor, and gift giving. It’s easy to show your creation in its best possible light. When it comes to canning, there’s nothing more important than a quality seal. 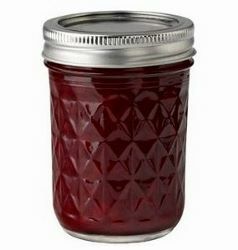 It ensures that no oxygen gets into the canning jar after processing and that your food will remain preserved just the way you created it. 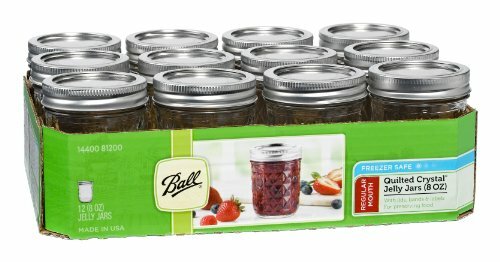 Ball Brands of Fresh Preserving Canning Lids have been crafted for quality in the U.S. for more than 125 years. Ball Jar’s manufacturing facility in Muncie, Indiana, produces each lid with a custom, time-tested sealing compound with an underside coating so that the natural acids in your food will not react with the lid. You can trust that each jar is every bit as genuine as the creation inside it. World Record Breaking Avocado Weighs a Whopping 2….